FREE GIFTS & FREE SHIPPING WITH SELECT PACKAGES! OVER 3 MILLION SUPERBEETS® PRODUCTS SOLD! 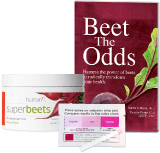 Test strips to see your N-O levels in 5 seconds & informative book on the power of beets. Nitric Oxide test strips to see if you're N-O deficient — in just 5 seconds! An awesome book on how beets can boost your health in big ways. *Free shipping & gifts available with select offers! Why You Should Care About Beets. Beets naturally boost the production of Nitric Oxide in the body and help support energy levels, largely due the amount of nitrates found in this root vegetable. Superbeets is easier than juicing. Now, you can get your beets without having to juice — or without the vegetable taste thanks to SuperBeets. 3 whole beets in 1 scoop. Get 3 whole beets in 1 delicious apple or black cherry flavored scoop. What separates SuperBeets from any other product is that by using food, we help improve the body's ability to produce N-O. Why You Should Care About Nitric Oxide. Healthy Nitric Oxide levels support your cardiovascular health, blood pressure, circulation, energy, and more. 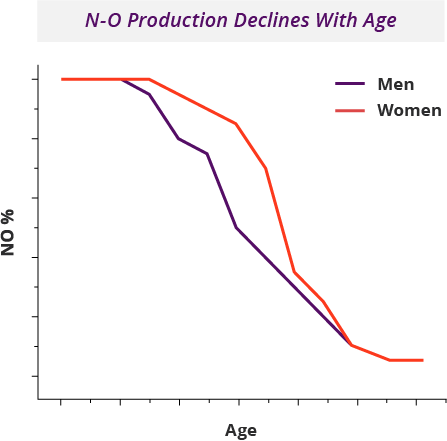 Nitric Oxide Production Declines with Age. Nitric Oxide is critical in our bodies. Without it, we can't live. Research has shown that the Nitric Oxide your body produces begins to dramatically decline as you age, especially after the age of 40. 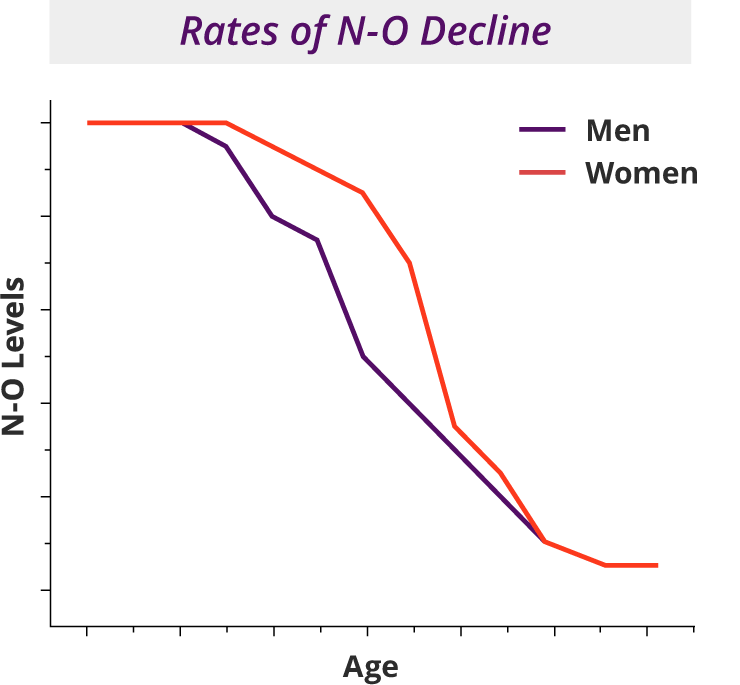 By the time you're in your 50's, Nitric Oxide levels can drop to half of what they were in your 20's. Thankfully, there are easy and delicious ways to boost your body's Nitric Oxide production and feed your circulation system! Nitric Oxide signals the blood vessels in the body to relax and dilate. This helps deliver oxygen and nutrients to the body through enhanced circulation and greater cardiovascular performance. The discovery of N-O was called the greatest discovery in cardiovascular medicine and awarded a Nobel Prize — this "miracle molecule" helps to regulate and fine tune cardiac function. Nitric Oxide is intrinsically tied to our ability to function. Nitric Oxide supports the maintenance of healthy blood pressure and overall cardiovascular health because it relaxes and dilates arteries, promoting healthy circulation. Circulation carries the oxygen and nutrients you need to function — and thrive. Research suggests that increasing Nitric Oxide levels helps increase our energy, endurance, and stamina. Top athletes rely upon our Nitric Oxide functional foods and supplements to unlock and enhance their performance power. 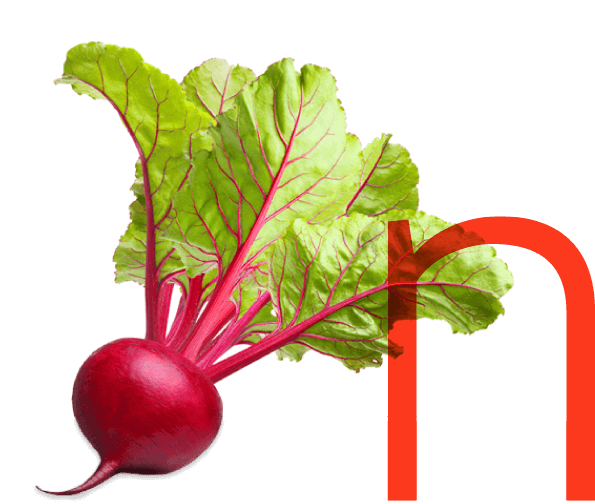 Beets naturally boost the production of Nitric Oxide in the body and help support energy levels, largely due to the amount of nitrates found in this root vegetable. Converted by the body to nitrate when ingested, which then becomes the molecular powerhouse called nitric oxide, or N-O. A recent study published by the American Heart Association examined the impact of beet juice vs. water on blood pressure after 24 hours. 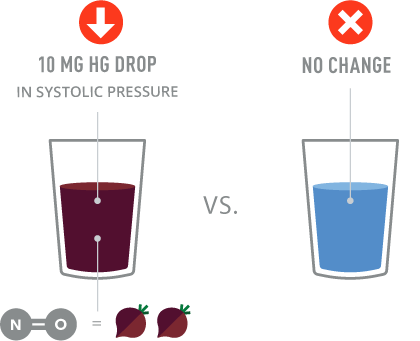 Those drinking beetroot juice reduced their systolic pressure by 10 mm Hg! The beetroot juice in the study contained only 0.2 grams of dietary nitrate — the equivalent of a large bowl of lettuce or two beetroots. This is Our Life's Work. Because It Impacts Every Life. We've spent years dedicated to Nitric Oxide. As a University of Texas Health Science Center Technology Portfolio Company, our blue ribbon Science Advisory Team has led the charge in Nitric Oxide research and innovation. FREE GIFTS! * ORDER NOW *Free shipping & gifts available with select offers! Over 3 Million SuperBeets Products Sold! Watch how people just like you are using SuperBeets to support their health. This stuff is in one word…AMAZING! Helps give me energy and YES you can feel it within 20 minutes! Have to try this stuff! It's the greatest! Try the Black Cherry too. It's yummy!! - Steven B.
I have been taking Super Beets for a short time, and it has made a big improvement to my health. I have been searching for a long time for a product that would actually deliver what it promises. There is no other product that has made such a great difference in my life. I would like to see my friends and family share the benefits of this amazing product. - Carol S.
I love this product and drink it everyday after lunch. I'm rarely tired and this product gives me some extra energy. - Christina S.
Science is at the Core of Our Company. Built upon Nobel Prize-winning Nitric Oxide research. The discovery of Nitric Oxide won the Nobel Prize in 1998 and this discovery is what HumanN® is built on. Nitric Oxide was dubbed "the miracle molecule" and was named Molecule of the Year in 1992 by researchers. Our team of scientists spans food science, nutrition, physiology, and kinesiology. 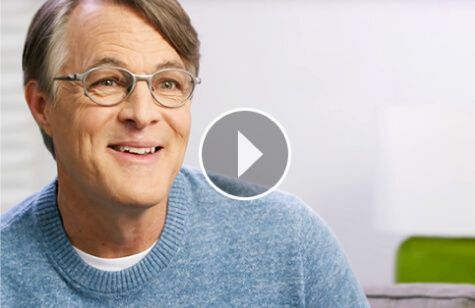 Our science leadership team includes leading Nitric Oxide researchers, including one of the world's most recognized sports nutrition scientists, Dr. John Ivy. Use is non-invasive-- Strips use your own saliva. Results are instant-- The easy-to-read color chart is easy to understand. You are in control of your own circulation health!-- Monitor your N-O to guide restoration. Free NO Indicator Strips with your 1st order! Select the circulation superfood system that's right for you. At HumanN®, we are committed to helping you live to your full potential — starting with the power of Nitric Oxide, an incredible, foundational molecule in our bodies. If, for any reason, you are not 100% satisfied with our products, simply return them within 90 days of purchase and receive a full refund of your purchase price, less any shipping & handling fees. *Free Shipping offer is only available in contiguous United States. Easy to take, easy to drink. Mix one teaspoon with four ounces of water and enjoy it as a quick, refreshing drink. Each canister contains a one-month supply, or thirty servings. Make sure to store the canister cool, dry place and use within 45 days opening.